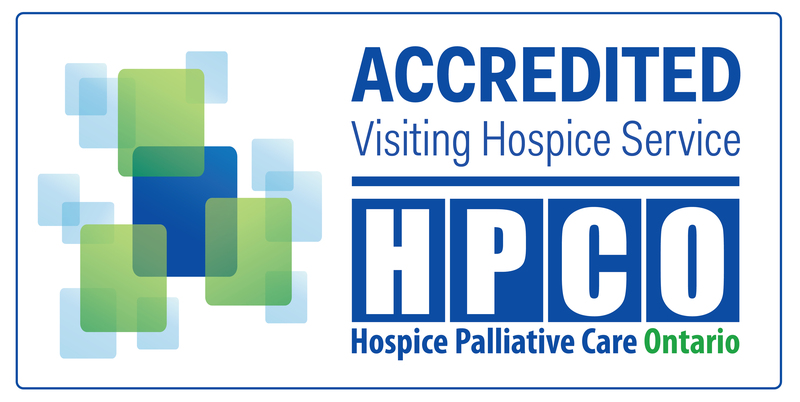 From the very beginning, Doane House Hospice has relied on a dedicated team of volunteers to help us to provide exceptional support and services to our community. Volunteers continue to be our greatest strength and currently our team of over 120 provide support to clients, assist with fundraising and events, help out in the office and govern as Board Members. Our programs and services are primarily delivered by trained volunteers who are supported and supervised by staff. 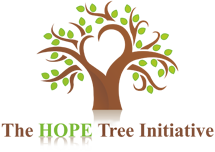 Please click here and here for two short videos on volunteering with Doane House Hospice. Hospice volunteers come from all walks of life. They vary in age, ethnicity, faith, gender and professional backgrounds. Some volunteer because they want to do something meaningful. Some just like to help people. Some have experienced the loss of a loved one and the experience has changed their lives. Whatever the reason may be, volunteering with Doane House Hospice will enrich your life. 90% of Canadians wish to remain in their own homes during the final stages of life but 94% of caregivers say they cannot cope without help – the kind of help that hospice volunteers provide. Each week, a volunteer’s gift of time will help nourish and sustain the quality of life for someone living with life threatening illness. 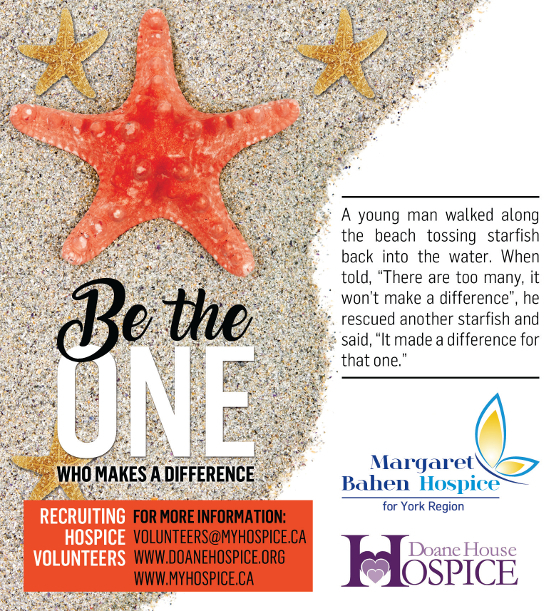 We are looking for 150 volunteers to help support Doane House Hospice and Margaret Bahen Hospice for York Region. There are a variety of different positions and tasks available, and training is provided.